This bar has 170 calories and makes it so it's easy to reach your weight loss goal as these bars curb appetite and are packed with healthy fats and protein. Almost all bars contain whey or milk protein isolate which is mucus forming and our bars do NOT! These bars are dairy free & whey free made with the most bio-available protein on the market (Egg Whites) . Made with Real Food Ingredients! (Can be used for a snack or meal replacement) Julian Bakery bars have no sugar added (1g naturally occurring) Sweetened w/Monk Fruit. Warm bar for 5 to 10 seconds for a soft gooey fresh brownie experience! Ingredients: Egg White Protein, Organic Prebiotic Tapioca Fiber, Organic Sunflower Butter Organic Natural Cocoa Flavor, ProDura™ (Probiotic), Lou Han Guo (Monk Fruit). CONTAINS: Egg. Made in a facility that processes tree nuts. 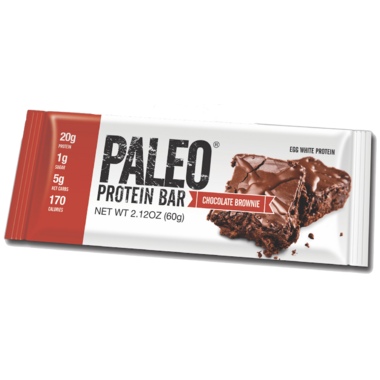 I love this protein bar for many reasons! It tastes great (microwave for 10 seconds to soften the bar slightly and also get a full brownie flavor). The low net carbs and low sugar help me to balance energy needs through the day while providing a protein boost. Julian Bakery really got this one right! These are tasty, but so chewy they should be marketed as a form of toffee! And, yes, toffee is good, but hard on people whose teeth aren't perfect. Iâ€™m sorry but I did not like this bar at all. VERY hard and the flavour is not good at all. 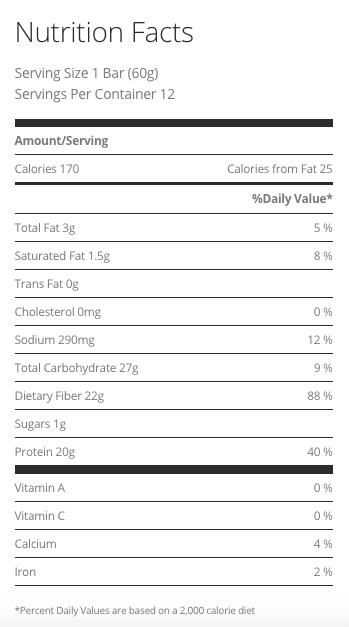 Only gave 2 stars for the 20g of protein. Do not recommend.